Maxmini released an heavy weapon platform that can be used to convert an Hydra tank for your IG army, it seems that they will also relase some missiles compatible with the turrent so you can also use it as Manticore. 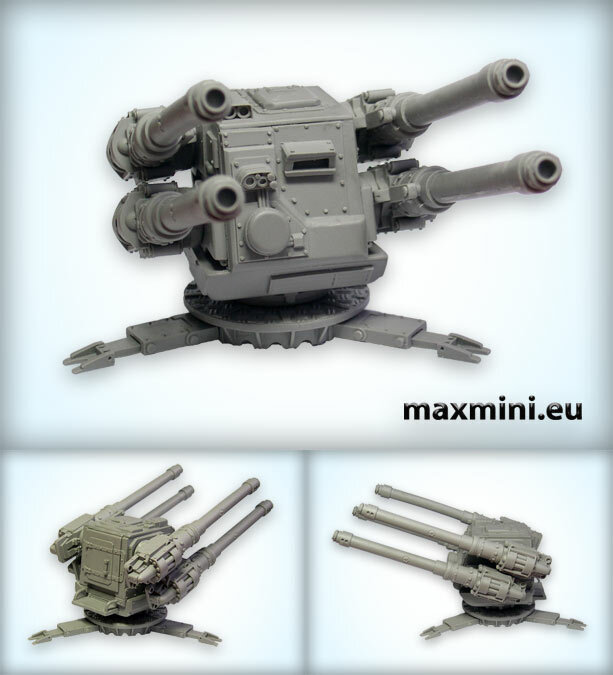 AA Turret - our next heavy weapons piece. Took quite a time to finish it out but I think the wait was worth it. Made by combined efforts of Mateusz "Matus" Gajos and Marcin "Majster" Szmyt with some additional help of Hamster52. We've made sure that this kit is quite versatile. Thx to separete mounting ring it should be easy to attach it to custom terrain, vehicles etc. Also it will be easy to swap weapons for some different ones (in fact we're currently working on missiles). Heck, we're even discussing making some sort of legs / tracks for it :D .